Jimmy Fallon is normally seen rocking the nicest of suits — he is, after all, the host of The Tonight Show. Who knew the Saturday Night Live was so ripped, right? Wrong! 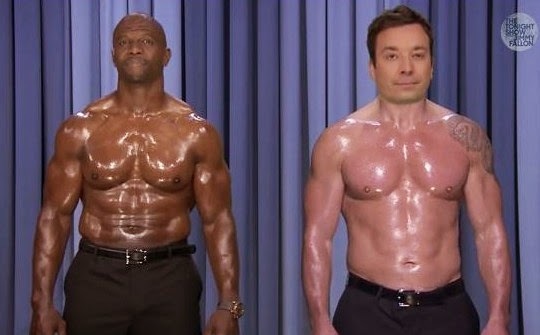 The fellas put their pecs to work — but while Terry was shirtless, Jimmy had a green screen to thank for appearing so muscular.